A detailed guide to fishing for bass in the Harris Chain of Lakes and the surrounding area, including information about where to fish, maps, fishing tips, local tactics, seasonal information, photo gallery, local bass clubs and more. I am Captain Phil Kelley, a lifelong bass fisherman and retired tournament angler with over 60 years experience fishing Florida waters. This website unlocks the secrets of the Harris Chain with extensive information on how and where to catch our monster bass. If you want to catch big Florida strain largemouth bass, you came to the right place. 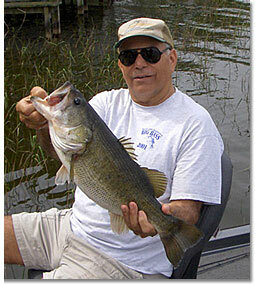 The Harris Chain is one of the most prolific big bass fisheries in Florida. I have been fishing Florida bass waters for over 50 years and the Harris Chain for nearly 40. 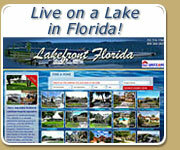 The Harris Chain is one of the best places in Florida to catch a bass over 10 pounds. If you want to catch big bass, you need to fish lakes with big bass food. The Harris Chain Lakes are extremely nutrient rich and full of large shad, golden shiners and blue gills, all feeding a large population of huge Florida strain largemouth bass. Our bass are stocky "footballs" commonly exceeding 8 pounds with many fish over 10 pounds. In the late sixties, bass tournaments were just getting started in Florida. I fished many early tournaments on Rodman Reservoir and the St. Johns River when the area was known as the "Bass Capital of the World". I always loved the North Central Florida area for it's natural beauty, huge lakes, great fishing and most of all it's giant bass. Having fished Lake Okeechobee and the Everglades in my youth, I was not prepared to fish the large Harris Chain lakes. With over 50,000 acres of water to fish and very little visible cover, where do I start? Fortunately, I make friends easily and over the years I was able to fish with some of the greatest local anglers on the Harris Chain. Much of the information in this website was learned while fishing with them. Unfortunately, many of these great anglers are now gone. I received my Captain's license in 2001 and tried my hand at guiding for a time. I quickly learned what a tough job being a bass fishing guide is and that I didn't have the patience for the business. The problem was most people who hire a bass guide don't know anything about real bass fishing, they only know how easy it looks on TV. Bass fishing with artificial lures is challenging for even the most experienced anglers. I could have made a business by hanging wild shiners on a hook, but I refused to use live bait as it kills too many big fish. God made bass so that everyone could have the fun of catching them. It makes about as much sense for a fisherman to kill a bass for food as a golfer to cook and eat his golf balls for dinner. I hope you enjoy this website as much as I did creating it. I gave up counting big bass a long time ago and want other anglers to have the thrill of catching these great fish. If passing on what I have learned helps you to accomplish this, send me a picture and I will be happy to post it on this website.